[10/22/15] Andrea Lewis and company return for the second half of season two of the web series. They’re back! 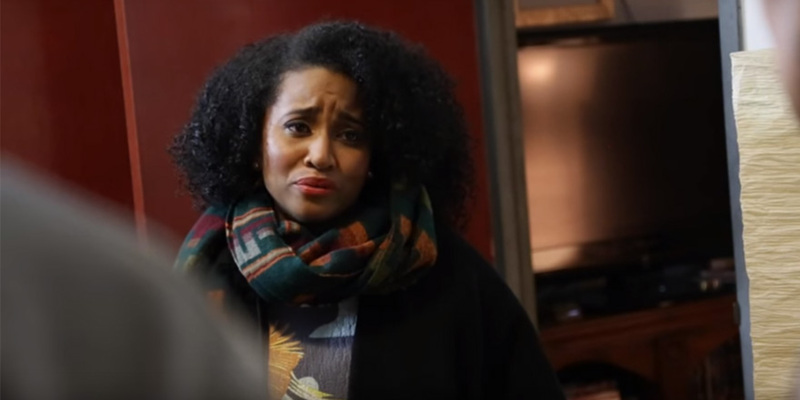 #Black Actress Season 2 left off on Episode 4 as lovebirds Kori (Andrea Lewis) and Romeo (Rob Vincent) continued on their emotional relationship rollercoaster ride. As season 2 continues with Six New Episodes, fans will watch as Kori’s temporary heartache with Romeo seemingly becomes exactly what she needs to break down her walls and finally tap into her emotions with her acting coach Stella (Essence Atkins.) The saying goes, “when it rains it pours” and that’s exactly what starts to happen with Kori’s career and love life once she meets a budding new producer/director Myles. Kori finally gets out of her head and learns to ride the wave. –Catch up on the season with Season 1 and the first four episodes of Season 2. The premiere date for new episodes is TBA, but watch the trailer below.